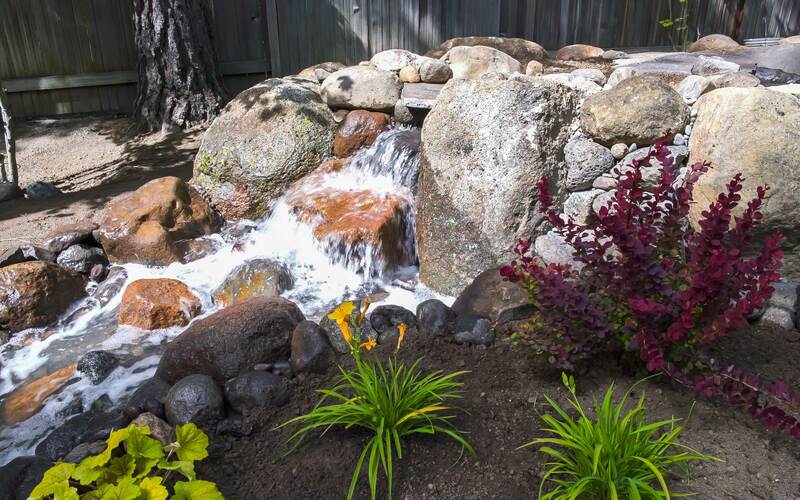 In the spring of 2016 The Water Boss headed out to Incline Village, Nevada to install a 110 foot poodles water feature. The massive reservoir housed an impressive 1020 gallons. Enough volume to flow over two beautiful water falls at the top of the stream. Each fall had its own character. The first with a flat spillway offering a sheet of water with a nice echo chamber and the other a natural feel as if carved over decades. With a sitting area just off the falls and walking paths that crisscrossed the stream this was truly a pondless water feature to remember.